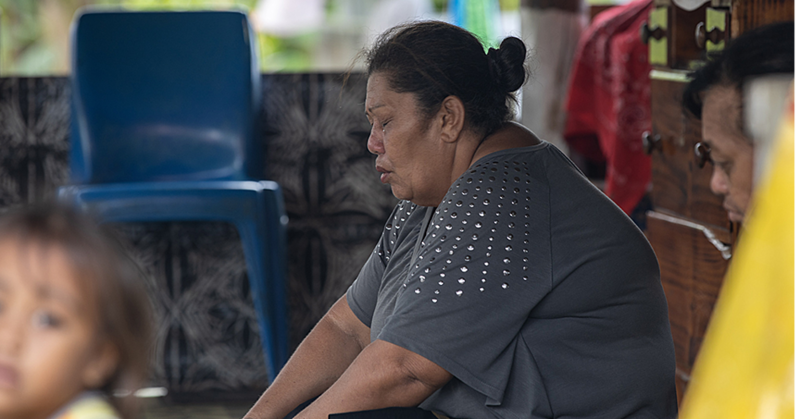 The village of Satitoa came together on Monday following the White Sunday, to embrace the children survivors of violence and sexual abuse under the care of Samoa Victim Support Group, with love and thanksgiving. More than 40 children were accompanied by the S.V.S.G President Siliniu Lina Chang, Executive members and staff during their cultural awareness programme, in response to an invitation from the village leaders. Rev. 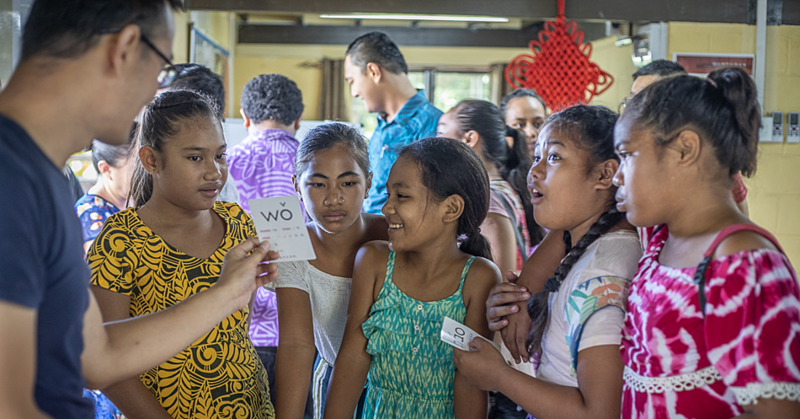 Vaitu’utu’u Palale of the Congregational Christian Church of Samoa (C.C.C.S) in Satitoa, welcomed the children on behalf of the village leaders. The cultural awareness activities included sports, fellowship time with the mothers of the village, culminating with the Fiafia Night entertainment by the children from the Campus of Hope, youth groups and Sunday School children of the Satitoa. 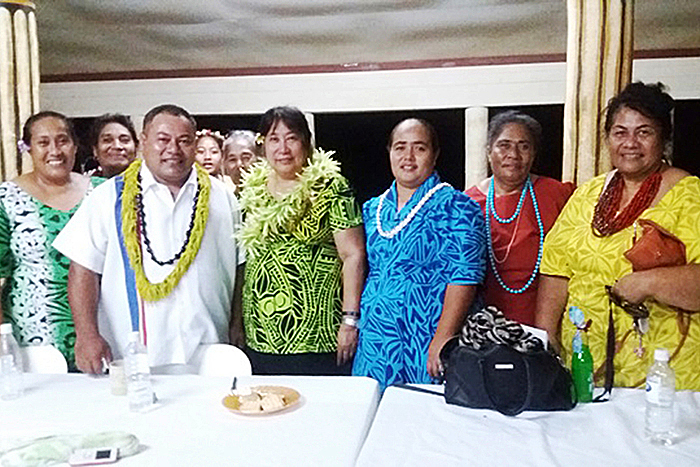 The Fiafia Night included an aiava (presentation of gifts) from the Women’s Committee of Satitoa. The cultural awareness programme by the children of hope united the village of Satitoa including the four main denominations in the village, namely the Catholic Church, the Methodist Church, the Assembly of God, and the C.C.C.S, to remind the children that they are special because they are God’s children regardless of the hardships they are facing. The message was reiterated by Rev. Vaitu’utu’u during the evening prayer of the village when he reminded the children to “never give up hope” because the community, like the village of Satitoa, are praying for their successful reintegration back into their families. The Cultural Awareness ended with the presentation of more than $1,000 from the Fiafia Night and food supplies put together by the village and the churches of Satitoa for the children of hope. 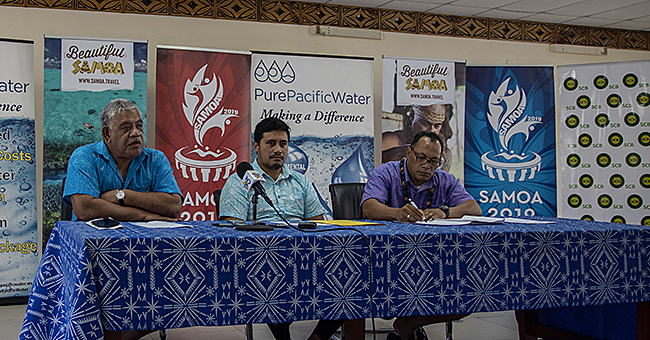 Ve’atauia Fa’atasi Puleiata, S.V.S.G Vice President spoke on behalf of the President Siliniu Lina Chang, to acknowledge with humility the united stance from Satitoa, to support peaceful families, by welcoming the children for a cultural awareness programme.